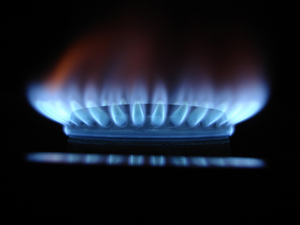 Npower is set to join fellow energy provider British Gas in announcing a double-digit profit growth later this week. The firm, owned by German RWE, will announce the figures during the presentation of its results on Tuesday (March 05). The energy supplier raised its energy bills by nine per cent last November, joining five out of the six 'Big Six' firms in announcing price hikes in 2012. The only exception to this was E.On, with the firm sticking to an agreement it made to keep bills the same last year, before confirming its own price hike of 8.7% in January 2013. Last week British Gas reported a profit increase of 11% with the firm generating a revenue of over Â£606m for the year. At the time, British Gas also highlighted that the increased use of heating was due to much colder weather in 2012 forcing households to use more gas to heat their homes. Npower is expected to identify the same reason for its own profit increase. Energy firms have found themselves increasingly under pressure of late, with the profit increases going hand in hand with increased energy bills. To combat this criticism, British Gas owners, Centrica, pointed to a reportÂ showing the firm contributes more than Â£14bn to the UK economy. In a similar move, npower claims to have invested more into the UK than its 'Big Six' rivals. The energy supplier has invested more than Â£3bn into the country over the last few years with September 2012 seeing the launch of its new Â£1bn gas power station at Pembroke. The firm is also part of the Government's Green Deal, a scheme designed to help households make their homes more efficient by offering subsidies on things such as a boiler replacement or loft insulation. The homeowner then pays back this 'loan' as part of their energy bill.